During the 7th Century AD Songstem Gampo (569-649AD), the 33rd king of the Yarlung Dynasty of southern Tibet and the first Emperor of Tibet, sent Thonmi Sambhota, one of his ministers, to India to gather information on Buddhism. The minister then reputedly devised a script for Tibetan based on the Devanagari model and also wrote a grammar of Tibetan based on Sanskrit grammars. 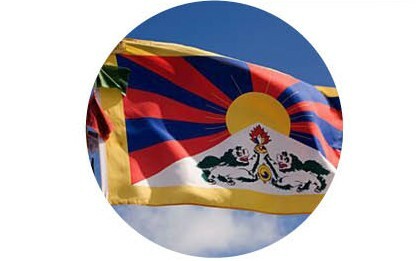 Tibetan language is spoken by 6 million Tibetans. The Tibetan script is also used in Bhutan and by Buddhist institutions in Mongolia. Tibetan dialects are also spoken in India, Nepal, Bhutan and Pakistan. Thanks a lot for the links, they’re really useful!